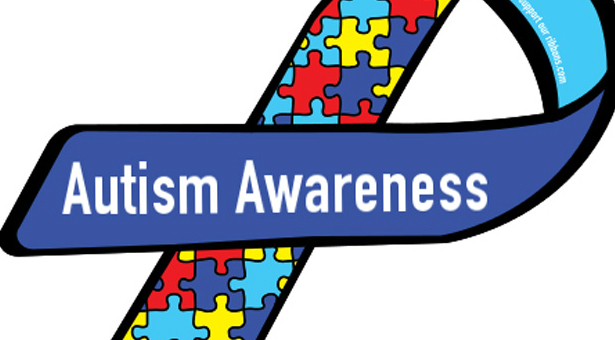 April is Autism Awareness Month, an important time for individuals and families of people with autism. While this time of year rallies support for the autism community, it also dredges up certain debates surrounding the disorder. 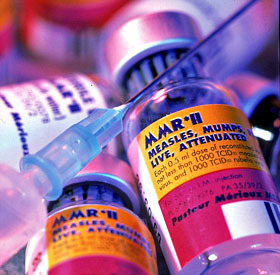 One of the most controversial and long-lived arguments involves the use of vaccines, particularly the one for measles, mumps, and rubella (MMR), and their link to autism. Since 1998, many people thought if their child received the MMR vaccine, they would have an increased risk of developing autism. Why? Well, that’s when the now-discredited Dr. Andrew Wakefield released his study saying exactly that. However, the fear-inducing study later turned out to be false. Wakefield misrepresented or changed medical data for the 12 patients who formed the foundation for his conclusions. If that wasn’t enough to disprove him, other researchers attempted to reproduce the study but were unable to replicate his results, further supporting the evidence that his claims were untrue. Wakefield’s fraudulent results still carry a large effect today. His actions directly contributed to the “Anti-Vaccine Movement,” which is a somewhat organized group of people who hold to the belief that the MMR vaccine causes autism. This wouldn’t be as much of a problem if measles, mumps, and rubella weren’t making a comeback. Measles was eliminated (meaning it would have to enter the country from another place) in the United States in 2000. But in January of last year, there were more reported cases of measles in the country than in 2012. And this problem is not improving, especially since almost one-third of adults believe vaccines can cause autism. Now, I’m not a parent, so I can’t understand completely how difficult this choice can be. But I do have a little experience on the issue. When I was seven, my third little brother was born. I was hoping for a sister, but I was excited nonetheless. My parents brought him home and we all loved on little Aidan. Within the first couple years, we noticed he wouldn’t make eye contact, he didn’t learn to walk on time, and he didn’t try to talk. By the time he was two, he was diagnosed with autism. Today, my 13-year-old brother still doesn’t talk, he still doesn’t make much eye contact, but he does walk and ride his tricycle around town. 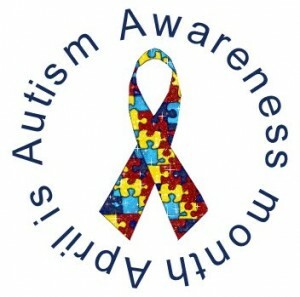 One of the scary things about autism is there’s no cure for it; another is that no one knows what causes it. With Aidan, it might have been that his oxygen was cut off during birth. It might have already been present before that incident. It might be genetic, or it could be environmental. One thing I know is it wasn’t caused by vaccines. But there is a real danger to not vaccinating children. It’s a thing called “herd immunity.” The idea is that if most of a community is immunized, it limits the spread of contagious disease. Healthy children are vaccinated to protect their peers who are unable to receive immunizations due to health concerns (i.e. leukemia, HIV, or malnutrition). So, if the majority of a group receives the MMR vaccine, and one or two children still contract the measles, the herd immunity should help protect the child who was unable to get the vaccine. But if multiple children are not vaccinated, the disease is likely to spread quickly through the community, and the unprotected child is now at increased risk. Here’s my main point, measles can cause pneumonia, brain damage, hearing loss and even death. If kids aren’t vaccinated, that’s what’s at stake. I would rather have my healthy, autistic brother instead of the weight of that loss. In my experience, living with someone with autism can be incredibly difficult and oftentimes frustrating. But it is also thoroughly rewarding. I’ve learned things from my brother that no one else could have taught me, and I’m so glad to celebrate his uniqueness this month.